Five years ago this month I made a decision. After self-publishing my first book, The Entrepreneurs Guidebook, I had caught the attention of a publisher in Malaysia, who published the first edition of Lifestyle Entrepreneur. That experience of traveling around Asia and speaking about lifestyle design & entrepreneurship, meeting people who told me my book inspired them, in turn, inspired me. 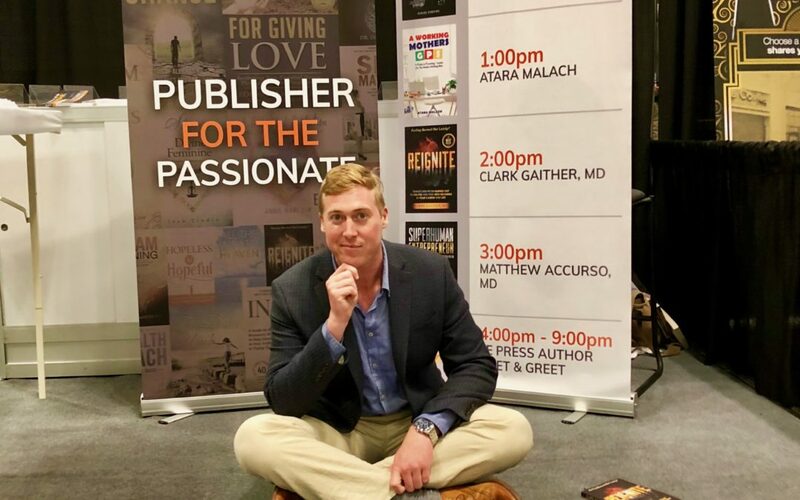 So I attended a number of author events in America and found a publisher to release and updated and expanded edition of Lifestyle Entrepreneur. All the preparation and anticipation eliminated in my book coming out stateside in March 2014. It was then that I made a decision to start a publishing company. I had been informally advising a few author friends and the experience of helping their books come to life, coupled with my own nascent success as an author all pointed the way. I put together a business plan for Lifestyle Entrepreneurs Press and flew to Shanghai to meet a wealthy investor friend of mine. Sitting high above The Bund, overlooking the Shanghai skyline I recorded the audiobook for Lifestyle Entrepreneur in a most appropriate fashion and prepared to present my plan for the publishing company, along with a request for $50,000 to get it off the ground. We met in the Roosevelt Club, an exclusive VIP members club overlooking the riverfront and iconic skyscrapers of Pudong. Besides a delicious meal and engaging conversation, nothing else came from it. But my decision was made. So I self-funded the publishing business to get it off the ground. In those early days I did it all; advise on content, hire editors, work closely with cover designers, develop the launch strategy and build and run ads for each launch. One thing led to another and we had some initial successes. 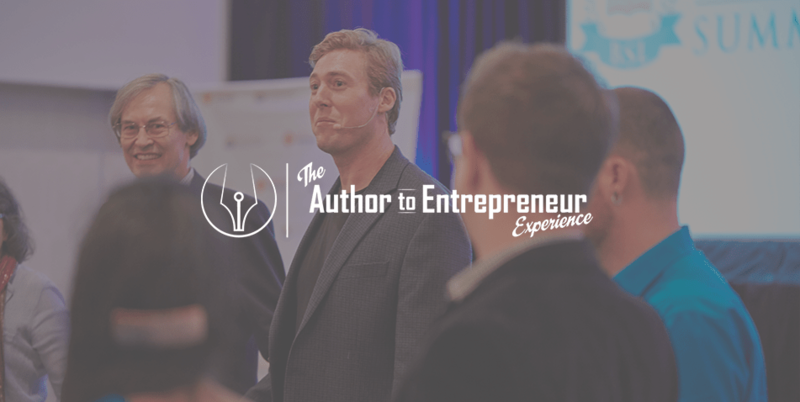 So I launched a training course, then started hosting live events, Bestseller Summit Live in 2015, 2016 & 2017. I hired staff, empowered them, built a culture and an audience, built meaning in the name Lifestyle Entrepreneurs Press. “The hardest working man in the book business,” one author said. “The author’s secret weapon,” said another. For the love of books, I went all in. Invested everything I had. Leveraged myself to accelerate and go from strength to strength, disregarding anything that wasn’t inline with my vision. Soon we had dozens of authors, signed a distribution deal and – 3 years later – actually didraise $50,000. The team grew, payroll grew, my responsibilities and obligations grew and for the love of books I leaned in further at every opportunity. For years I wanted Ingram Publisher Services to be our distribution and sales partner. For years we just weren’t big enough yet. Then, last year at BookExpo NY we had a corner booth, exhibiting for the second year in a row with back-to-back author signings, me a proud publisher watching our authors work the floor, sign books, shake hands and press the flesh just I like did many years ago…and then it happened! The director of publisher acquisitions for Ingram Publisher Services came by our booth and all our authors turned on the charm. We sat down, talked numbers and agreed to follow-up soon. When he walked away I dropped to my knees in the middle of the conference floor and thanked God for the opportunity. This, less than one year ago. We signed the deal. Fate paved a way to get out of our previous distribution deal 18 months before the term and now I am sitting in Nashville, TN after previewing our Fall 2019 releases to the 50+ sales team at Ingram Global HQ. For the love of books, I never gave up. For the love of books, there was always just enough. For the love of books, 5 years later we have 90+ books under contract and despite the extreme emotional roller coaster that I’ve been on for the last half a decade, I have never been more excited, never been more committed, never been more optimistic for the glorious future that lies ahead. Not just for the next 5 years, but the next 50 and the next 500 because books have an infinite shelf life. And the work I’m doing now, the moment I am in now working on close to 20 books at once will transcend me. It will live on long after I’m gone, will inspire and instruct the next generation to passionately pursue their every dream.